When looking to treat the common signs of aging such as wrinkles, loss of skin volume, and crepe skin, microneedling collagen induction therapy is a popular, minimally invasive treatment. 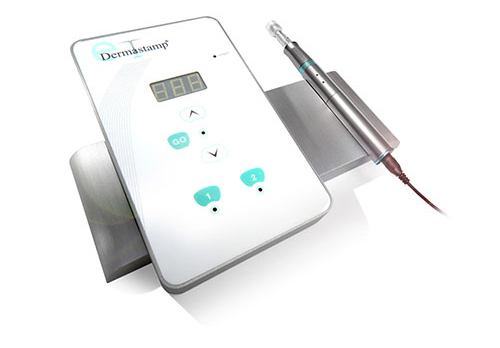 Midtown Med Spa uses eDermaStamp® by Dermaroller®, the best Collagen Induction Therapy treatment available. It is a clinically proven successful treatment that triggers the body’s spontaneous healing process, stimulating cell proliferation and causing the formation of new collagen. This results in a thicker, more supple, cellular matrix that not only promotes visibly younger looking skin: it is also the most effective treatment for treating scar tissue and stretch marks known as striae. How Does Microneedling Improve My Skin? Microneedling using eDermastamp takes advantage of your body’s own regeneration process: the eDermastamp device is placed over your skin, allowing its highest quality, medical-grade sterile needles to quickly prick the surface. With the fastest motor in the market, eDermastamp provides up to 150 pricks per second to stimulate cell proliferation and promote the formation of new collagen, leading your skin to improve in thickness and texture. The end result is the reduction of the appearance of wrinkles, scars, stretch marks. Many of our clients have found that repeated eDermastamp microneedling treatments have helped their skin glow again, smoothed from scars, uneven texture, sun-damage, acne scars and stretch marks that they have lived with for years. A: Because of the quick pulses per second, you will feel only minimal discomfort from our microneedling treatment. And applying a topical anesthetic makes it more comfortable. Q: How long does one microneedling treatment take? 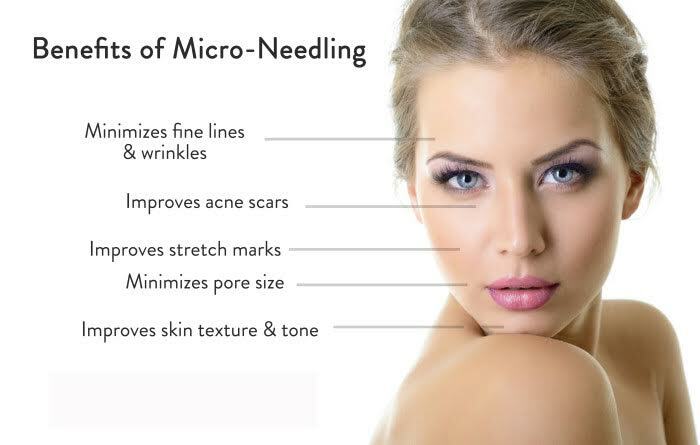 A: Microneedling at Midtown Med Spa is a quick, effective treatment that only requires 60 minutes per session. Q: Is there anything I should do before booking a microneedling appointment? A: At Midtown Med Spa, we recommend that we first start with a consultation to make sure you are a candidate for microneedling. Q: Will there be a long period of downtime after microneedling? A: You can resume your normal, everyday activities after 24 hours, but should avoid direct sunlight for at least 48 hours after your microneedling treatment. And always apply sunscreen when outdoors. Q: I heard that there will be swelling and discoloration after treatment. Is this true? A: Mild swelling is normal after microneedling treatments, but the redness will reduce by 50% within hours of leaving our spa. Q: Can I wear makeup after a microneedling treatment? A: We suggest clients to use mineral makeup, and only 24 hours after their microneedling treatment. Q: What kinds of results should I expect after microneedling? Day 1 to 2: Superficial reddening of the skin and mild swelling subsides. Day 2 to 7: Some exfoliation and dryness. After 1 Week: Improvement of skin texture and tone begins. After 3 Weeks: Improvement in pigmentation becomes noticeable. After 6 Weeks: Improvement in fine lines, wrinkles and scars begin. Q: How often will I need microneedling to maintain its effects? A: While results may vary from person to person, Midtown Med Spa recommends a course of 3 treatments (maximum 6 depending on your situation) that are spaced 6 weeks apart.